I’m pretty crazy for owls. I think I got it from my Nana (my Mom’s Mom). She was a birder and had bird and owl decor items throughout her home. I vividly remember a macramé owl hanging that she had in her kitchen. When I started knitting one of the first things that I made was an Owl Hat. That owl hat evolved over the years. Initially it was just one owl. Then the owls went all the way around, but only one had button eyes. Now the owls go all the way around the hat and they have all have button eyes. It’s my favorite iteration and has lasted the longest without tweaking. Not only did my Nana inspire my love of owls, but at the beginning all of the owl hats that I made used buttons from her vast button collection. Just another way I could share her love for birds of all kinds. 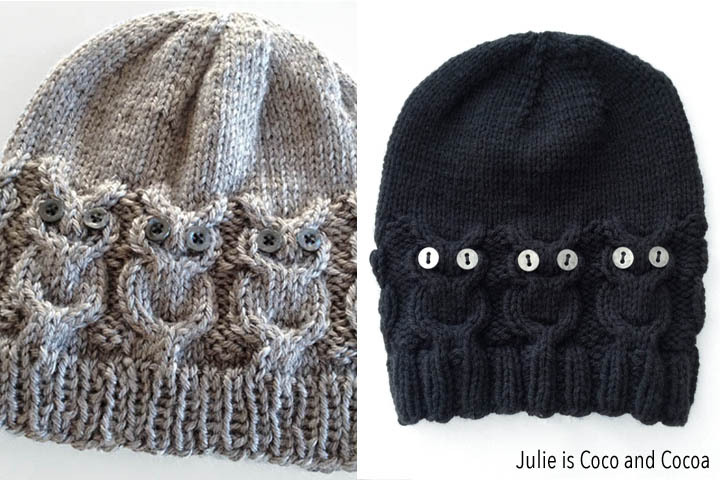 This knit owl hat has been far and away the most popular and requested item that I make. And now I’m going to share the pattern with you! Grab your knitting needles and get started. I usually use 3/8” or 9mm buttons. I often find them on Etsy (http://tidd.ly/f93eb190) or Amazon (http://amzn.to/2wPdubc). If you run into problems or have questions, leave me a comment and let me know. I’d also love to see any finished owl hats that you make! If you prefer to knit this pattern on straight needles rather than in the round just let me know when you order and I’ll send you a straight needle version in addition! If you’d prefer to purchase a finished hat, just visit the Coco and Cocoa shop. Do you prefer to crochet? Don’t worry! I’ve got you covered. Here’s my Owl Hat Crochet Pattern. This post contains affiliate links. Purchasing through them help support this website at no extra cost to you. That that is so adorable! When you say Cable 4 Back (or front), do you hold them in back (or front), then knit 4 stitches, then knit the cabled stitches? Just learning how to knit cables, so not sure of your instructions. Hi, Julie! Cable 4 Back means slip 2 stitches to your cable needle and hold the needle in back of your work. Knit the next 2 stitches, and then knit the 2 stitches from the cable needle. 4 stitches total are included in the cable stitch. A cable 4 front would be the opposite. Slip 2 stitches to your cable needle and hold the needle in front of your work, knit 2 stitches, then knit the 2 stitches from the cable needle. cedilla when you see a M1 it means make one stitch however Julie is the m1 a yarn over? Are you using US 5 needles or 5mm knitinng needles? Hi, Jennifer! Sorry about that. I’m using US 5 needles. Hi Cedella and Dusty! Yes, the M1 stands for make 1, but it is not a yarn over. Here is a stitch diagram that shows a make 1. Hi Elisa! I’m using worsted weight yarn. How many stitches for a hat to fit a child? Hi Sharon! The owl stitch is a pattern repeat of 11 stitches. So if you need a smaller size you could cast on 60 stitches and then increase to 66 stitches in round 9. I love the Owl hat Pattern but haven’t been able to download it. Hi Marion and Cathy! When you click on the link it should open a pdf of the pattern that you can print. Thanks! I have a difficult time knitting on 4 needles … could this be made on two needles then closed up? I absolutely love this hat and know my grandson will enjoy it too. Hi Margaret! I was able to find a pair of very short circular needles (8 inches) at my local yarn store. They are great for hat making. I still have to use double pointed needles when I am decreasing, but they are perfect for the main portion of the hat. You don’t happen to have this as a loom pattern do you? On the owl hat pattern you say you use US size 5 needles, what would that be in Canadian or Metric? Hi Sylvia! A US 5 is also a UK 9 or a 3.75mm. Hi Judy! In each of those even numbered rows you will knit each stitch on that row. Then look below that to see what to do on the odd numbered rows. how much yarn does it take to do this? Can you give a couple of suggestions for yarn…or the yarn you used for yours? Hello! Just wondering what you would suggest doing for a baby size? Or do you have a separate pattern for babies? Could you give me the gauge? Just wondering what your sts per inch would be? You suggest worsted yarn – but you did not say how much yarn you need for the hat? What is the yardage? I think what she means for the 52/54/56/58/60 is those are rows that you would Knit… is this correct Julie? Also could this be knit flat up to the decrease? Using size 5 US ( 3.75mm) needle with a worsted yarn #4 and definitely won’t fit an adult size — will have to add stitches or increase the needle size — nice pattern and easy to follow !! Hi Linda! The skeins I buy 145 yards and that has always been enough for a hat for me. Had a hard time pinning this post until I pinned directly from within pinterest. Pinning from this website in safari results in pins that only lead back to photos, not the blog post. (If that makes any sense). This is a wonderful hat! Thank you for sharing. I am trying to knit it but definitely need a bigger size since my head is the size of Rhode Island. I thought I had read a comment on how to increase the size but cannot find it. Did you say to increase 11 for the owl pattern but do 9 rows of cables? Thank you so much! Just finished this cap using 3.75mm needles.It definitely won’t fit an adult so I will do another one using 5mm needles.Love the cap though. That is my question answered!! Thank you so much for this, I love it!! Hi Julie, thanks for sharing this lovely pattern. I also re-wrote your pattern to be worked on straight needles…only because I knit faster on straights and I couldn’t wait to see this project come together. Love your design!!!!! I increased my CO sts to 100 and worked the ribbing on 3.75mm straight needles for 12 rows . On your Row 9 (increase row in your original pattern…so techinically row 13 on my own version), I increased to 110sts and then switched to 5mm straights. The only other adjustment I made was reducing rows 30-50 from your pattern by 4 rows to shorten the hat length, but if someone wanted a more “slouchy” style hat, the row reduction wouldn’t be necessary. The yarn I used for test knitting the adjustments was a Bernat Premium worsted weight. I’ll definitely do this pattern again but in a wool blend next time. Thanks so much for sharing your pattern with us!!! In your owl hat you suggested co 80 sts , inc to 88 in 9th row of ribbing , for a bigger hat. Do you then follow the instructions in the pattern? Like how many sts between increases? Is it still k14 M1? Are the remaining patterns instructions the same? Please advise. Wonderful looking hat! This is will fit adult size hat and is just snug enough not to flop around but not tight.. If you need me to write it line for line i will just let me know..but its basically just the wrong sides of the work that will change or reverse if you will…. Good Luck and again Thank you Julie!!! Thank you for your free pattern. I am also an owl appreciator and am looking forward to making this hat. Is there anyway to crochet this instead of knit? Agreed with above comments, the pattern given using 3.75mm (US5) needles with worsted weight yarn does in fact produce a hat that is quite small. It would be better suited to a tween/young teen or extremely small adult imo. Will be making at least two more, one by increasing stitches; will also try making one with 5mm (US8) needles. Using charcoal grey yarn with white button eyes, super adorable. Thanks for sharing!! In round 29 do you p2togethet p1 k8 all the way around or just once? Love the hats Tk you. Can’t download it. can you e-mail the pattern, please? Is there a fingerless mitten pattern to match? Hi Jean! I’m having difficulty emailing you. If you click on the link to the pattern it will open up a PDF that you can print. Thanks! I would also like to know the gauge and the circumference of the hat. Thanks. Julie – Can you tell us what size buttons you sewed on for the owls eyes. Love the patter!!! Hello! I’ve been emailing everyone back responses to their questions so they don’t get lost in the thread. Just a few where I’m having problems with emails not going through. Gauge is 5.5 stitches per inch. Thanks! Can I do just one owl on the hat, instead of all the way around? This is so cute! Thank you for this cute hat pattern. I’m hoping to use one circular needle (just my preference) sure hope I can do it. I would like to suggest that everyone go back to the very first questions and read them and your replies. It seems a lot of people are asking the same questions over and over again. Tanya Munday….do you have the instructions line for line that you did…would really love that. I’m not the greatest knitter so really need explicit instructions. Thank you so much in advance. Do you use a round needle or 5 needles? do you have a “how to video” or how to instructions? is it possible to get a line per line instruction sheet? i am a beginner and wondering if it’s easier to do it on a round needle or four needles? just following your pattern now .and I question round21.shouldnt that read…p3,c4f,c4b..? How much yarn did you need for this? I still can’t download this pattern that I love, would you be able to email it to me.? What brand of yarn didi you use? I would also like to know the yarn color and type, as well as the adjustments for a toddler. I’m on my second hat,have request for 5😀 Love the pattern,it’s one of the simplest I’ve ever done. M1 Means to not do the usual increase (by knitting into the back of a stitch, but with your left needle, slip it under the yarn that goes over to the right (not a stitch, but a straighter section, just between the stitches on the two needles. slip the left needle under that thread, and hoist it up onto the left needle…so you have a “new stitch” on the left needle…then knit it as normal. How do you increase by M1,do not know what the knitting term means.Thank you. Yes Tanya I did see that but was hoping to get the line by line as I find it easier to follow. I don’t know another way to get the information. Hi Nola! That’s my gauge with the work flat and unstretched. Stretched the gauge is between 3 and 4 stitches per inch (which is why I was casting on 72 stitches). Hope that helps! Hi! Can I ask if it’s 4 ply in English and 3.75 needles ? Hi Julie,,why skip rows 37-50 ,,when using 2 needles ? Tk you. I need to know where my math is failing me. In round 13 you P3, C4B,C4F around. That uses a total of 75 stitches. What to do with the lat 2 stitches that make up the total of 77 stitches I have on my needles? Purl them? I answered my own question. I misread and thought the P3 was only for the 1st 3 stitches so my poor owls were a little crowded together. First of all, thanks to Julie for the pattern, it is awesome. I followed the pattern using the 72 stitches, worsted weight (# 4) yarn with the right gauge (5.5 stitches per inch) and the hat is much too small for an adult. It looks like it will fit a small child, or pre-teen. I will knit it again with the increased number of stitches. Otherwise very simple to knit and so cute. The buttons for the owl eyes are not really necessary as the owls stand out anyway. Considering weaving a little contrasting wool for the eyes; should also be OK.
,, f you could Please share! Thank you Julie for the lovely pattern. I love owls!! I am going to get started on this pattern now. This is a lovely pattern. Several commenters have made valid points and one of the most important of the lot is for everyone to read ALL comments/questions and answers from beginning to end! This has resolved several issues for me. I agree that using 3.75 mm needs are far too small for an adult and will use larger ones on my next project (and reduce the number of knit rows for improved fit). As for button size and placement – have a look at the hat, the outline of the owl is so clear that one couldn’t possibly go wrong. Choose a size button that makes a good fit. Tie them on, sew them on, whatever works for ya. Surely, there have been some issues but many commenters have figured out how to resolve them and share them with everyone or they have been answered by the author, Julie. May I be so bold as to suggest to Julie that, if possible, she amend the post to include a paragraph that incorporates the repeat questions, issues and resolutions. Thank you Tanya for all your comments and being so willing to share! Would you happen to have a pattern of the owl hat for crochet? You are welcome Julie…and Thank YOU for an amazing hat and the opportunity to help! Ive read through everything and not sure if you said whether or not one can use circular needles. I have several questions regarding this pattern. 1). Your pattern states C4 F and C4 B. I found this rather odd. Came back to this page and found that it was actually a pattern of 2 stitches total for the cable not 4. I understand the front and back. How many stitches are you knitting between the cables? Is it the p3? Then as I am reading through the comments I see that all even rows after ribbing is a knit row? Does that include the owl pattern rows? Sorry maybe I missed it somewhere, but I can’t find the size of the needles that you used. This is so cute but many have said it’s too small for an adult so I’m wondering if there’s an update. I looked at the instructions and am confused starting at Row 13 which says P3, C4B, C4F (around). I haven’t knit much but know how to put 4 stitches on a holder and put those 4 stitches in the back of what I’m doing, but it says to put 4 in back and 4 in front, but then doesn’t say when to knit them into the project. Only doing 3P and then removing stitches left me hanging. You can’t do just 3P all the way around the hat for that row. 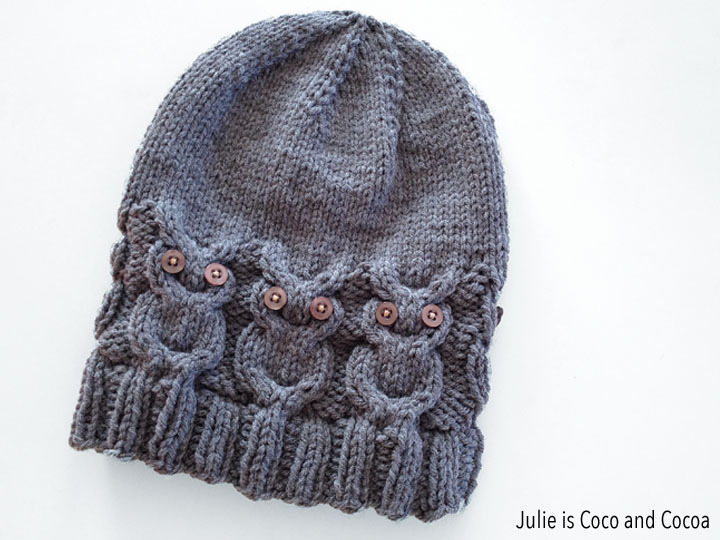 Hi Julie.I’m making this hat on size 5 dp needles and looks like it would be for a child. If I increase to the 80 stitches you say to use a 9 circular needle,would that be correct? Thank you for the pattern using 2 straight needles. I was trying to work this on 2 needles before these instructions. However, I still something missing. On the cables are those done in knit or purl? This will have a significant bearing on the finished piece! Thank you! I found this pattern a year ago and made a couple of the hats. I went on to use the owl on the back of a pair of mitlets, and I have to say that I LOVE it. I didn’t even add the eyes, but it is clearly an owl. It’s a great pattern. I wanted to start by saying thank you so much for this pattern. It’s soooo cute! According to comments on going up in needle size, are people sizing up to the 80 co and also usint a size 8 needle size? I am having the same experience. However, since it’s so easy to knit up, I’ll find a little one for the hat and make a larger one for my friend. I just finished this hat for my granddaughter. It is adorable..I am a tight knitter but followed the pattern exactly..she is 12 and I know she will love it..It is a bit long but still a lovely pattern..thanks..Now, any one know of A free mitten pattern to match? just noticed that I made a mistake ! I used 5mm needles,forgetting about the difference in sizes between U.S. & Canada.It was a good mistake as the hat is adorable.. thanks again for the great pattern. Trying to think of the best way to size up for adult man. Will get measurement and gauge but would it be reasonable to CO 80 and increase to 88 for one more owl? I am thinking for the increase row; K13, inc1 x6 and distribute the 4 extra stitches evenly? I made the hat using US size 5 needle….cute but way to small….next one I will make with a 5 mm… US size 8, that is what the sleeve on my yarn suggests using with worsted weight yarn. okay, I’ve read all the comments and made note of these. But where is the pattern to be found? I have three girls waiting with balls of wool in their hands ready for me to get knitting, but so far haven’t managed to find where you are hiding the instructions!! Hi Julie…do you have this pattern written for knitting on straight needles? wish the original pattern would have been correct(adult). This is a great hat, why are you people giving this lady such a hard time? She offered this pattern for FREE. No she doesn’t have it for a loom, or crochet or 2 needles, the pattern strictly says 4 needles. As for trial and error knitting, how do you think she made the pattern…trial and error I suspect. 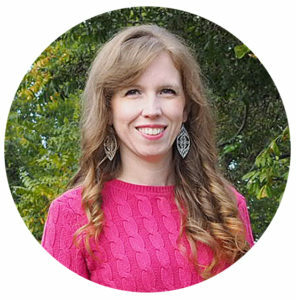 After all of these RUDE comments I wouldn’t blame her for not publishing another FREE pattern, why would she if all she is going to get is grief? Anyone who can follow this type of a pattern has had some experience with knitting and should have been able to tell from the needle size that it was going to knit up small for this weight of yarn and this number of stitches. She clearly stated that the pattern is over 11 stitches and so upon casting on the stitches you would have realized that you needed to add more. This was her pattern for her head, use that pattern as a guide. I say thank you for the pattern, I appreciate it very much. I knit one it was too small so guess what? I didn’t complain on here, I revamped the pattern to suit my needs as should all of you. STOP giving her a hard time and asking her to go to more work (work you should be doing) to come up with a pattern that suits you. You didn’t pay for it so stop complaining. Again thank you Julie for the lovely work you have done and for sharing your pattern for free! Thanks for the pattern Julie! I’m a fairly novice knitter and I got this hat done in a week! I used 2 balls of Loops & Threads Impeccable yarn which is chunkier than worsted, and US9 5.5mm circular needles. I reduced the number of rows in rounds 30-50 to 10 instead of 20 but otherwise followed the pattern exactly. The hat fits wonderfully! Not bad for my first attempt at a hat! How many sraight rows please after the owl’s and how many stitches do I decrease to shape the top, thankyou and sorry to be a nuisance. Yes there is but the original pattern was not meant for 2 needles. I think people should be thankful for what was given. The link is not from Julie but from someone else. This link is for what she used. I feel that people are being far to harsh to her. Be grateful for her work. That’s all. I noticed on raverly it says a size 7 needle. will a 7 make it to big as I do not like working on a 5. This is the knit version. I have also seen the crocheted version which cost to download. See Pinterest Crocheted Owl Hat. I’m foing to design a top-down knit version when I have the time and energy. Hi, Did you write the pattern for the owl hat on straight needles line for line, if so could you send me a link to it. Thank you so much for your generosity. Beautiful, I just can’t seem to figure out circulars yet but plan to get to my lys to learn. For me the problem is solved regarding making the hat adult size. Using size 8 needles, cast on 98 sts. K1 P1 for 1″. K 8, M1 to end (you will have 2 sts. remaining, just knit these. From there just follow the pattern. It comes out just fine. Thank you so much for sharing this gorgeous pattern! This is very generous of you, and I will be heading to our local wool-shop, The Wool Inn, here in Penrith NSW, first thing tomorrow! Again … thank you!! It’s an 11 stitch repeat. You would do this 7 times to get your 77 stitches. On this page you show the C4F and C4B correctly to get the owl results as shown on the hat but on the pattern download they are incorrect saying that C4F is slip 4 stitches to the front and C4B is slip 4 stitches to the back. I didn’t notice the error until I knit the hat past the owls – the hat had no stretch whatsoever through the pattern section. Please correct the download pattern. Had the same problem, finished up as a slouchy hat. I am going to knit this hat pattern but on two needles, then got to thinking I would like a scarf to go with it. Ok, not too difficult to work out size but not sure how to finish it. In other words how do I knit the end in reverse, starting with the ears? I knit this hat to fit my head….average adult size..fits a 22″ diameter around the band. I used 4–5mm needles and 100g Cascade 220 wool. Cast on 92 sts and K1P1 around as per the instructions. Be sure to join the round on row 2. Row 9 K13 M1 around until the last stitches. K2 at the end….99 sts. Continue as per instructions. I continued to Row 36 then started the decrease as per Row 51 in the instructions. Continue to the end. Fits perfectly..no bulk. Love it! Great pattern with easy to follow instructions…..however, I used 5mm needles (which are larger than 5US) and the hat will definitely not fit an adult let alone a child. Definitely do a gauge check before starting….I was finished before I realised that the size was way to small. Cathy…see my instructions above your post. Are the buttons simply sewn on? After reading all the comments and adjusting it slightly it is finished and I LOVE it! Thanks so much for the wonderful pattern!!!! Thank you, Julie, for such a cute hat and fun pattern. I made the original version and am passing it along to a wee one. Thank you to all who posted adjustments to make the pattern larger. Much appreciated. Am anxious to get started on another as it is so much fun to knit. A big thank you for this lovely hat. Thanks to Tanya for doing the two needle version. I am in uk where we do not have worsted wool. However for any other uk knitters Aran is the yarn to use. I am on row 25 and the gauge is working out exactly as specified by Tanya. I just checked on the net as I am interested in knitting one of these lovely hats too! Love to see your video Mandy. I knit two of these and both of them had very excessive amounts of knitted rows at the top. For a normal size head I would eliminate at least 8 rows before the finish. I have now finished the hat using Aran wool and I love it. I have posted a pic on fb but not sure i can put a pic on here. Have had lots of positive comments and am now going to do a smaller one for my seven year old granddaughter. Beanie type hats don’t look too good on me so i have added pompom to top for a bit of extra height. When I got to the increase row (starting with 72 sts and inc to 77 sts) I find that it should be K 13 Inc 1 (5 times) then K 2 otherwise you will not have enough sts on your needles to K14 Inc 1 (5 times ) then K2 as this would come to 77 sts to start and increasing 5 sts to 82 sts instead of starting with 72 and increasing to 77 sts. I made this owl cap it was my first time doing the cable stitch,and did it without any problems.thank you for the pattern.I love how it turned out .I am going to make one for all my grandchildren . I’m having a hard time finding buttons, anyone have a link or suggestion for what size/color? 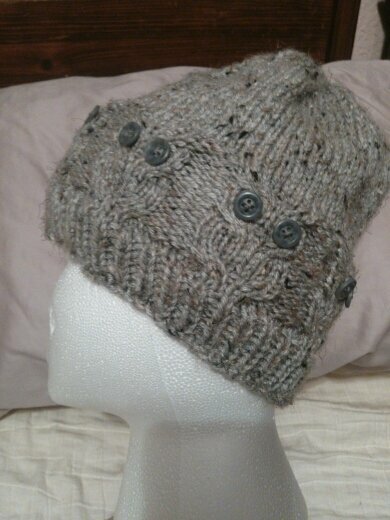 I’ve made a gray and a more oatmeal colored hat. Thanks for any help! The size 5 needle…..5 USsize or 5mm. Cute pattern! I’m on row 20 of this hat – it is a lovely pattern but I’m concerned as it seems so small – can anyone who has finished it offer reassurance before I get too much further along? Will this fit the normal sized head of an adult woman? I also found it small when done on 3.75 mm needles as directed. I have switched up to 4.5 mm needles and am going to try with that. Thx Tanya, just started another one on straight needles. I am using US #5 needles. Ive knit a few rows of the ribbing pattern, seems to be a little on the small size to fit a woman’s head. Sort of worried it isn’t going to fit. This hat might fit a very small child. Needs at least 10 or 11 repeats. Could have the video clip for sewing it up when knit on two needles (the invisible seam) I haven’t done it before. The hat is beautiful. Thanks for the pattern. Hi Elizabeth i have 2 video clips of the invisible stitch, i will provide the link for them. as soon as the second on uploads…..stay tuned!!! Thank you for this pattern. This was a quick, easy and fun project. I love it! I did make some adjustments though. I used size 7 (4.5 mm) dpns, co 80 sts and knit only 10 rows after the owls. Ok so I’m confused. The pattern calls for K1P1 for the ribbing but two of the hats pictured have a K2P2 pattern shown? How many stitches do i cast on to make a K2P2 ribbing then how to i make my increase to 77 stitches. I think the K2P2 looks better? Amen, Jennifer! Thank you for saying it! Love the pattern! I’m so impressed a simple cable could turn into adorable owls that are surprisingly easy to knit. 🙂 Thank you so much for sharing! However, although I went up to size 7 needles, the hat was barely large enough for my teenaged daughter and, when worn, the owls are stretched far apart which diminishes their charm. I wish I had seen the above comments earlier and cast on more stitches. I think I will have to make another one with 22 more stitches for two more owls. Also, I will decrease the number of knit rows above the owls before the decrease rows begin as the hat I made ended up a bit too high (picture what Dopey in Snow White might wear!). Thanks again! How do you put the buttons on. Do you glue them or stitch them? Round 29 P2 together, P1, K 8 Is there something missing? What happened to the pattern of 11 sts? If you knit this hat how did you get the pattern to work? I can’t do it. If it takes 11 stitches to form a patters 72 stitches don’t work. I finally made this. Ripped it out a couple of times before I was happy with it. Used 5mm needles and started with 90 stitches. (I have a big head :O) ) After ribbing I went up to 121 stitches. I didn’t like when the owls stretched too much, that’s why I added so many stitches. I also only did 4 knit rows above the finished owls, it was much too long the other way. Quite happy with it now. Thank you very much for the pattern. Your instructions say P3, C4B, C4F. After I p3 then c4b do I p3 or just go to c4f? just go to c4f, then p3,, c4b, c4f to the end…. Started making the owl hat yesterday, today the pattern has disappeared and I cannot find it again. Has it been removed? These are adorable, I can’t seem to find any link for the pattern. Can you help please? Just ordered this paternal the link to download is broken – how am I supposed to get the pattern I paid for? Where is the free pattern so that I can download the pattern? I cannot download the pattern either and the link that u talk about at the beginning I cannot locate…is there any other way of getting this pattern. It is adorable. I assume by website u mean what program I am using? I am unable to download/print this pattern. It is simply adorable and I would love to knit myself one. Is it possible that you can email it to me? NO LONGER A FREEBIE … the pattern is, however, for sale. The designer was kind enough to have this pattern as a freebie for a while. It is not expensive to purchase. There are, however, other freebies, as well as other available for sale items. Love this hat. Thank you for the pattern. Would be great if the pattern notes on this blog are added to the paid pattern- especially your meaning for C4B, C4F being 2 stitches (not all four on) the cable needle- I am now up to row 26 and the pattern doesn’t look ‘right’. I know each designer uses these terms in different ways, and would have appreciated this explanation in the pattern I have paid for and printed to work on- I shouldn’t have to check the blog. Aside from this, pattern is easy to follow. Fiona T, that I know of, all cable patterns show how many total stitches are in one cable. C4B = 2 on cable needle to the back, knit 2 on working needle, then go back and knit the 2 stitches on the cable needle. If the cable was C6B – would be put first 3 stitches on cable needle and hold in back, knit the 3 on the working needle (left) and then knit the 3 on the cable needle. The twist makes the cable. Remember: frogging is an excellent tool for learning. Also good to put in a lifeline once you know for sure that the work is correct, to the best of your abilities. Yes- since learning to cable earlier this year I’ve had non-commercial patterns that present this differently, so I am used to frogging! I was more frustrated that the pattern notes are not included with the paid pattern- it would be nice to have the paid pattern updated with these hints and tips. All bases just can’t be covered all the time on everything. Then we can get involved with those who speak other languages – and can’t find a decent online translator for every pattern. When in doubt, give YouTube a Search. There are usually a few different teachers teaching in their own way on just about anything and everything. Takes time to filter through those to find a teacher whose way of teaching suits yours. Might consider legislation in the USA for such things! LOL Like there aren’t more important problems on our plates. My daughter is in West Palm Beach FL – and says she isn’t leaving – they put in hurricane windows, etc. NOTHING *I* can do about her decision. I pray she and her husband and animals will be safe. Do you have a smaller pattern. I also have wool that is hand spun, some of it thinner so I am quessing that would be equvilent to worsted. I see this post is almost a year old. Would there happen to be a video tutorial? Here is the video that shows the cable stitches for this hat. I don’t have a video that shows the full pattern. This is so cute! I just bought the pattern and think I found someone to make it for me (wish I knitted, maybe someday!) What color yarn is the one on the left, I really like it? It looks heathered…. The lighter gray in the photos is Vanna’s Choice in Silver Heather. Thanks! I bought the pattern and was wondering it says 5mm double pointed needles can I use the 5mm circular needles until dcreases? Certainly! I have a pair of short (about 9 inch) circular needles that I use until the decreases. Julie – thanks for the pattern. love it. i’m going to try it. You are an incredibly patient and kind person. People ask some of the same questions over and over although many of the answer they seek are in the info provided (however, maybe the instructions were improved by the questions prior to my finding this cute hat). You answer them and politely! It would drive me nuts! I can’t knit but love the hat – can I pay anyone to make it for me? What cool owl patterns! I have several owl enthusiasts in my family. I made this hat using 4 ply yarn and US 8 needles (5mm). I sewed the eyes on just after a few rows above were finished, as it made it much easier to access than when finished. I have a smaller head so this pattern was perfect fit. So cute. If I make another I am considering using different coloured buttons for the eyes. I used 4 dp needles but would prefer 5 or a short circular needle next time. Your knitting sound beautiful and the pattern is so fun. 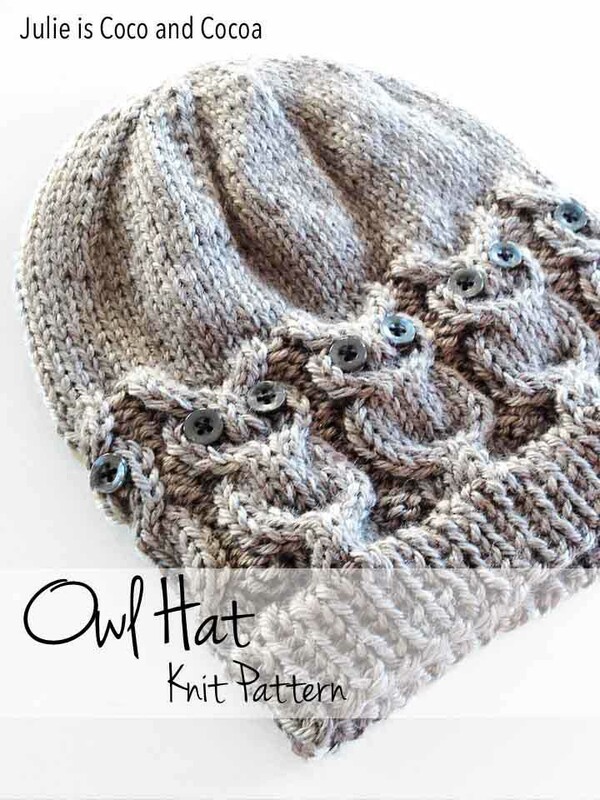 The owl hat is really a terrific and terrifically fun pattern!